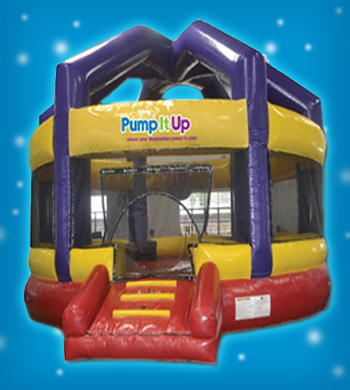 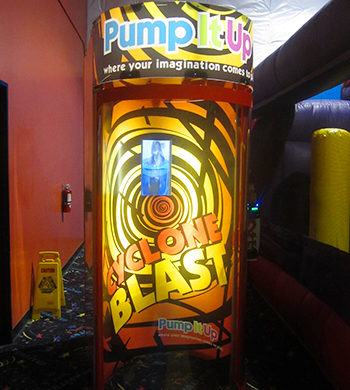 Check out the latest additon to the fun at Pump It Up! 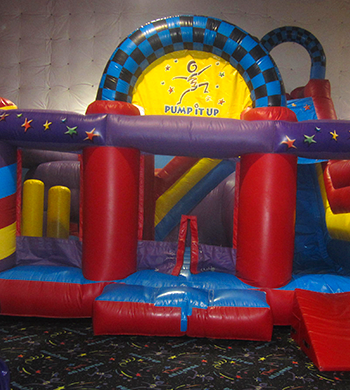 This is 4 rides in 1. 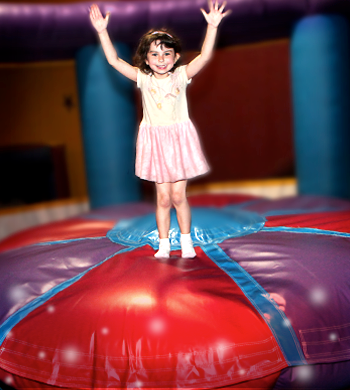 Bounce, climb, circle through an obstacle course and slide down to the finish. 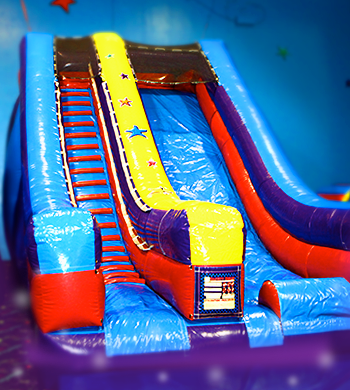 Race, climb and slide through this awesome obstacle course. 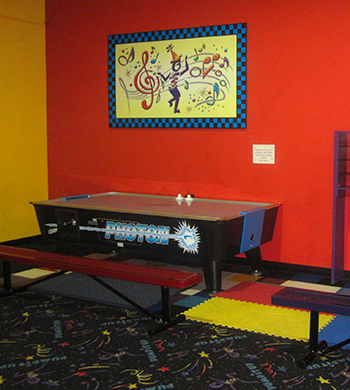 Try and race a friend or one of our staff members. 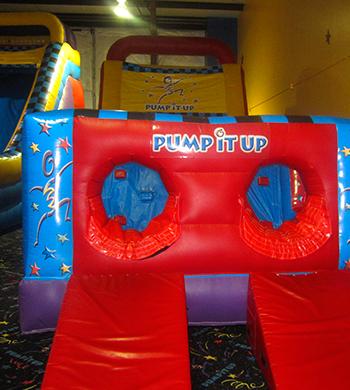 Have a blast going down our super fun slides in both of our inflatable filled arenas!